Is this the best water filter system ever? You are here: Home / Featured Stories / Is this the best water filter system ever? 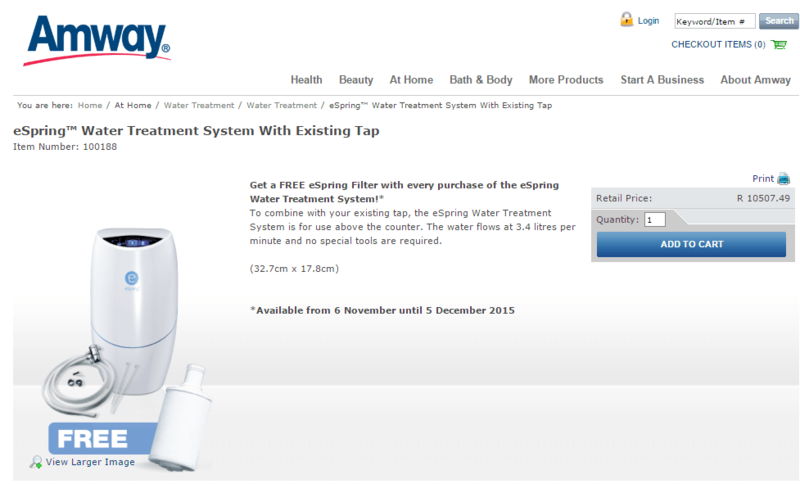 Could this be the best water filter system? As with most things in this world, there are many options on products and services and water filters are no different. The trick here is to understand the various elements of these systems and more importantly , what benefits do they offer you and your family. Water is the element of Life for humans and pretty much most every other living organism on this planet. If the water we drink is polluted or has microorganisms swimming around the bottom line is we are going to get sick and in some cases even die. So we can all agree that having the purest cleanest water for drinking is quite important. Thus is it vital that we get the best water filter system we can to ensure that all those little unwanted visitors are removed before we drink that glass of H2O. If you knew that you water looked like this – would you drink it? Yet, most of us are happy to drink water from our taps or from filter systems that could still be unhealthy. Researching the web to see what was out there , I came across a product that ticks all the boxes and it’s called E Spring. Why you MUST get the best water filter you can. While there are many different filtration systems out there from reverse osmosis to jug filters, from pressed active carbon to UV, the E Spring has found a way to combine two of the most effective methods into one system. Using this technology has been scientifically proven to remove compounds,chemical, bacteria and micro-organisms from the supplied drinking water. These test result are freely available and the data is totally conclusive. During the water purification process in South Africa chemicals like chlorine (in large quantities) are added to the water to kill bacteria and other little nasty animals that can make you sick. During the transportation of water through our infrastructure it can collect chemical compounds such as pesticides that are present (albeit in small quantities) in the water that is piped to your taps at home. Without the best water filter system, you and your family may be ingesting these compounds with every glass of water , cup of tea or coffee that you drink and even if you have a filtration system in place , does it remove all of this from your water. Below are some pictures of the E-Spring carbon filter after a year of use – in Bryanston! Would you really want to drink that? Using the Carbon Filter Technology to filter out compounds and chemicals and the UV to kill bacteria and micro-organisms, the E-Spring is proving why it is rated as one of the best water filter systems in the world. In many countries the link between drinking water and a rise in diseases in humans is being investigated and many health organisations are recommending getting the best water filter to ensure that most (if not all) of the harmful elements in our water are eliminated BEFORE you drink them. At Saving Energy , we have managed to source this amazing product and , as a special opening offer, we are giving you the chance to save a massive R2000-00 on this filter system! You can get it now for just R8500-00! Invest in your family’s health and safety and save a massive R2000!